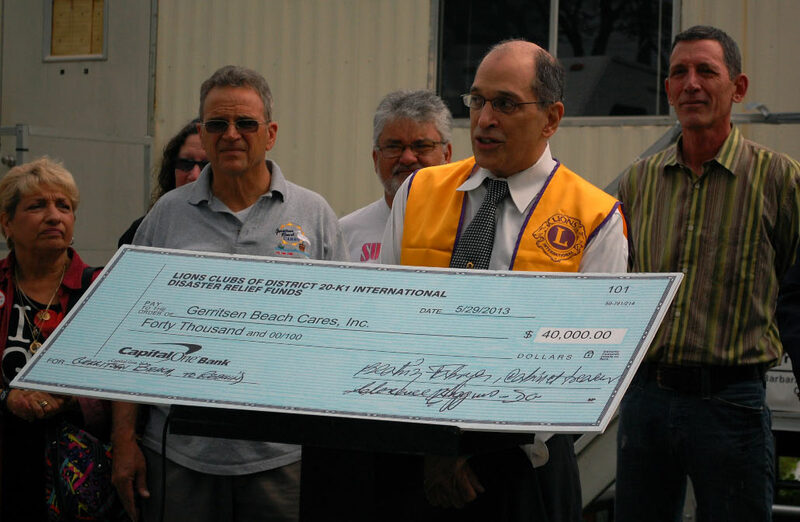 May 29, 2013 – The Flatlands Lions Club and Lions Clubs International (LCI) presented a $40,000 disaster relief grant to support the Gerritsen Beach Cares Long Term Recovery effort to help rebuild the Gerritsen Beach community in the aftermath of Hurricane Sandy. Flatlands Lions President John Cucarese presented the grant, which provides basic building supplies for structural home repairs, to Gerritsen Beach Cares (GBCares) President John Douglas. The Flatlands Lions were on the ground days after the storm, providing assistance to the beleaguered community with emergency food, clothing and manpower. However, it became clear that the destruction of the storm, which damaged a large portion of the homes in this waterfront area, impacting thousands of residents, required a greater commitment, to help in the rebuilding process. 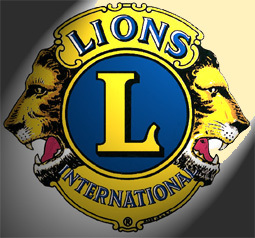 The Lions began a partnership with Gerritsen Beach Cares (GBcares), a community environmental charity, which rapidly redefined its mission, and pulled together community, political and volunteer agency support to provide area residents with critical information, problem resolution and support services. As GBcares expanded its reach to provide needs assessments for residents and to make partnerships with volunteers groups to jump start the rebuilding process, the Flatlands Club recognized that the organization was creating a working model for city-wide recovery, and began to investigate options to get the Lions Clubs International, the parent organization, to support this effort with a grant. The need assessment was a pivotal feature in this decision, since it ensured that the recipients of supplies would be those with the most pressing need, especially the elderly, infirm and financially at risk. The grant has already provided dividends for the community, helping, among others, an elderly couple to replace the joists and structural supports in their home. 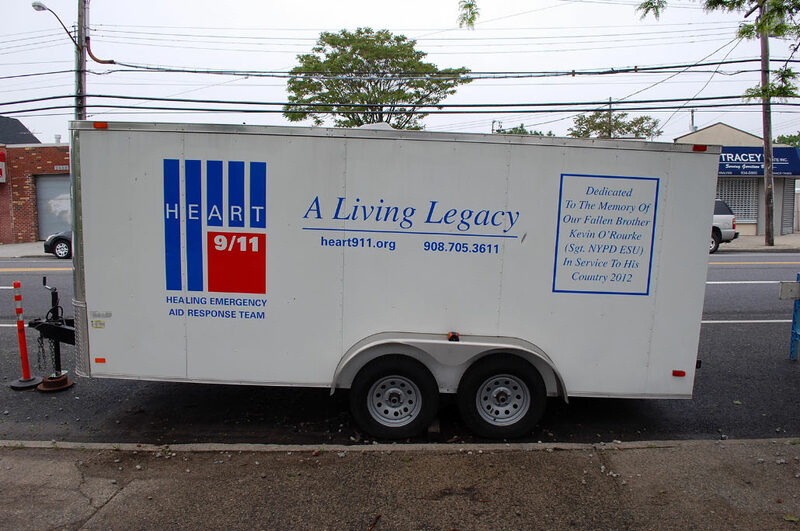 GBcares, forming a coalition with Tunnels to Towers, Heart 911 and NY Cares, has implemented a unique multi-agency repair process that helps resident go from gutting and cleaning, to mold remediation and rebuilding – all with volunteer efforts, donations and manpower. The Lions realize that, far from winding down, the true recovery effort is just beginning, and ask everyone to continue to support this invaluable effort and others like it until the job is done.